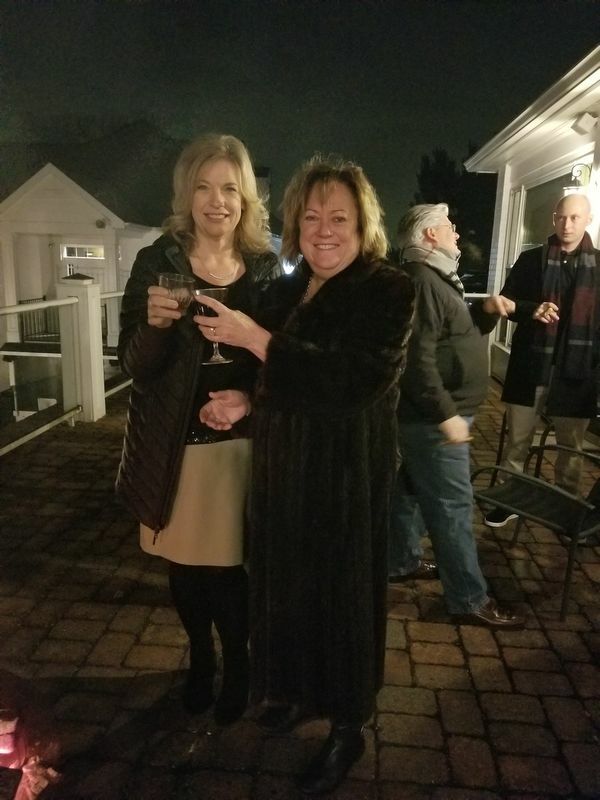 On Saturday, January 26, 2019 TPCC presented Sip, Smoke, and Sample for our members and their guests. 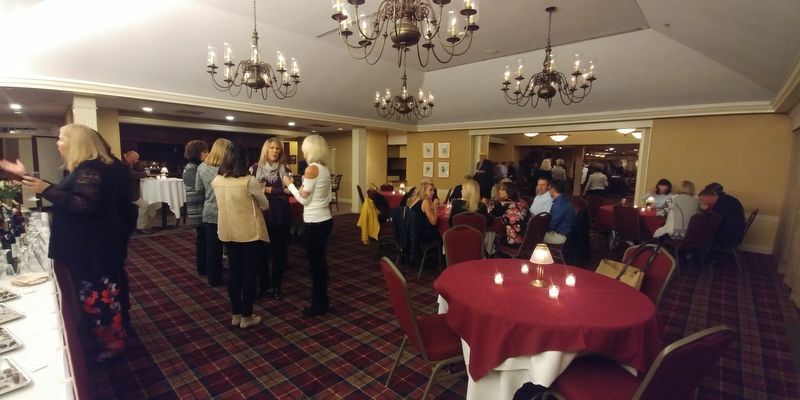 We had a large crowd of nearly 80 people. 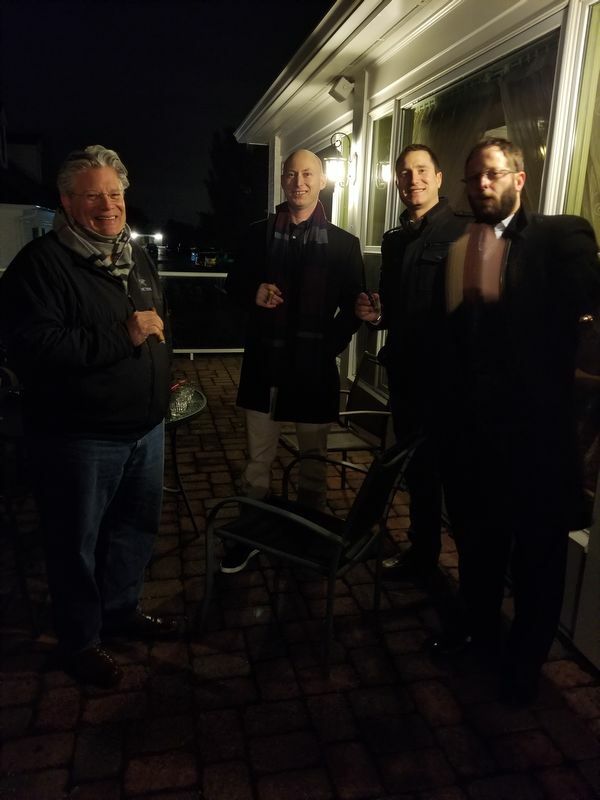 A great time was had by all late into the evening. 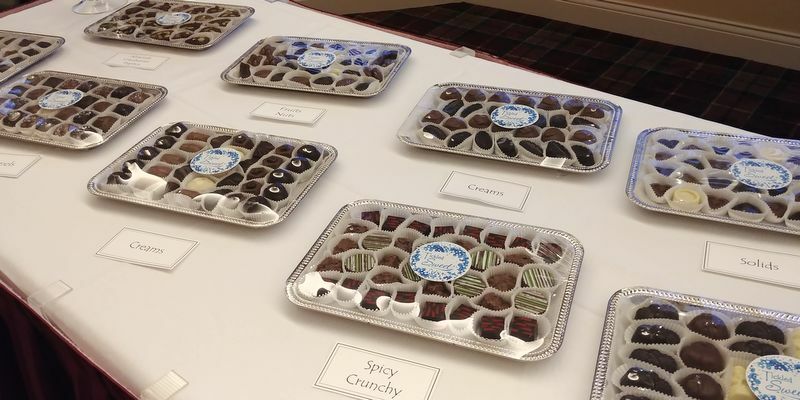 Included in the event was a fine wine and bourbon tasting, along with Chef Jay’s wonderful array of hors d’oeuvres, finished with a decadent assortment of handmade chocolates from Tickled Sweet of Milford. 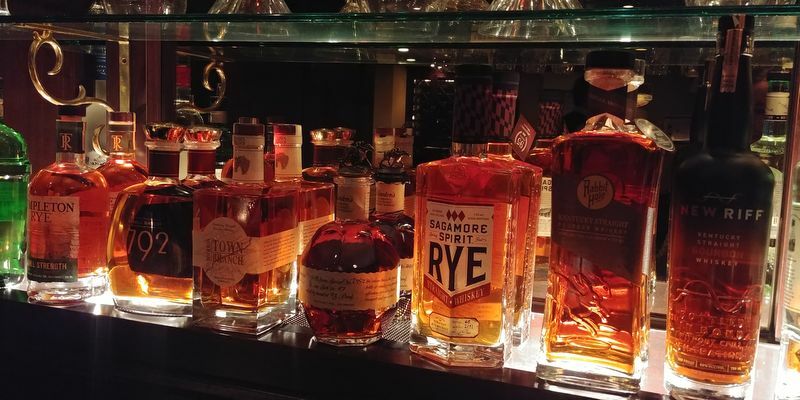 We were lucky enough to get ahold of four bottles of the very popular Blanton’s Bourbon in addition to six other new-to-us bourbons: 1792 Ridgemont, New Riff, Rabbit Hole, Sagamore Rye, Templeton Rye, and Town Branch. Other than Blanton’s, the most popular Bourbon of the night was the Templeton Rye Barrel Strength at 114.4 proof! 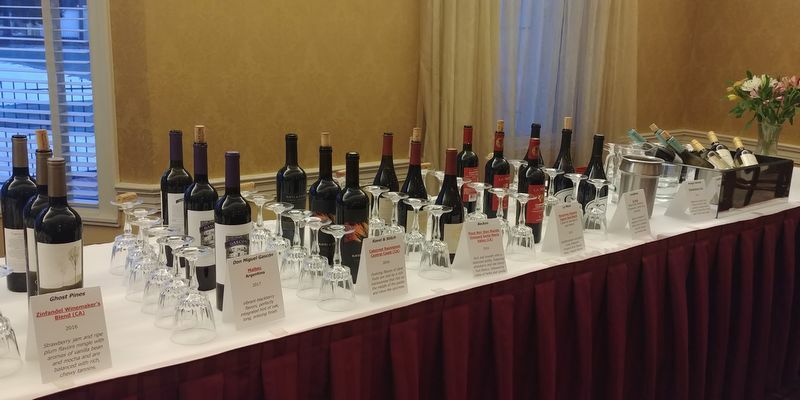 The wine selection included Hungry Blonde Chardonnay, Beckon Pinot Noir, Locations CA Red, Ravel & Stitch Cabernet Sauvignon, Don Miguel Gascon Malbec, Ghost Pines Zinfandel, and La Mora Maremma Toscana. My personal favorite was the Ravel & Stitch. 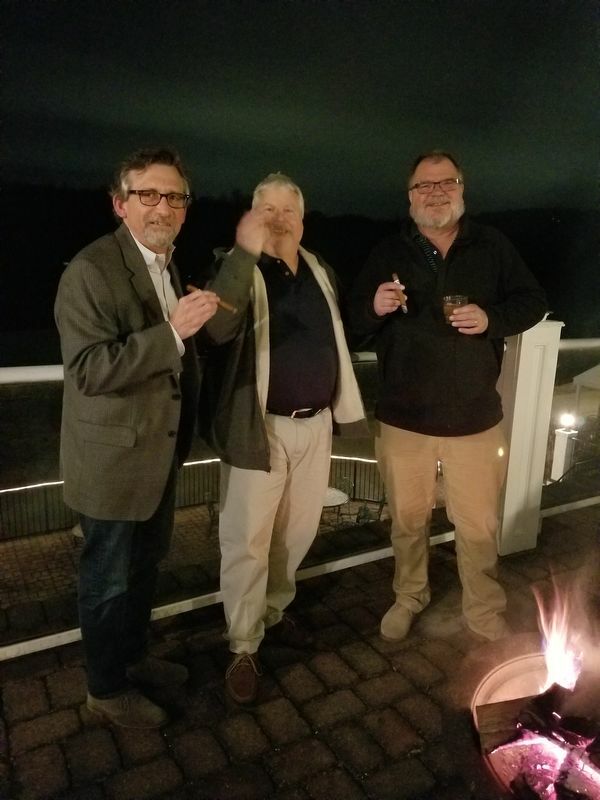 Cigars were enjoyed by many around the fire pit outside the Terrace Room. 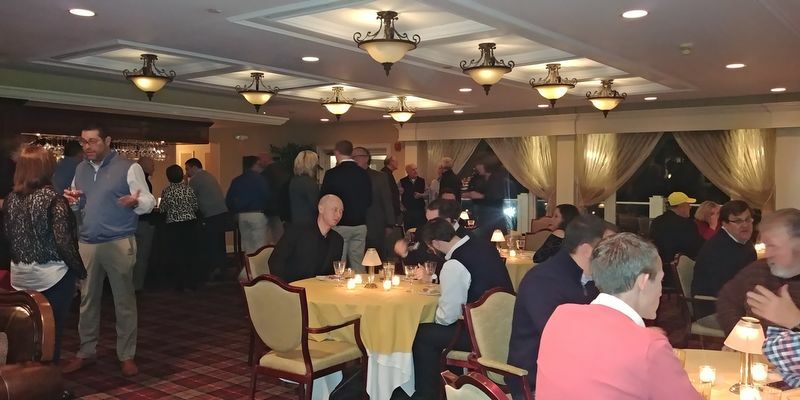 Inside around the fireplaces, members and guests enjoyed the guitar and vocals of Ellen Gould. Some daring souls even ventured out to the indoor hitting facility to sip their bourbon while attempting to hit golf balls! four bottles of Blanton's...very impressive! !